PumpVendor.com has inventory ready to ship for these brands too! Just Request a Quote for price and availability and we'll get it right back to you. 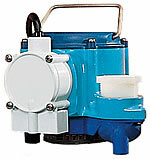 We have thousands of pumps and parts in stock and ready to ship.